China announced that it will launch a new manned space mission between June and August 2013. Three taikonauts will comprise the crew. 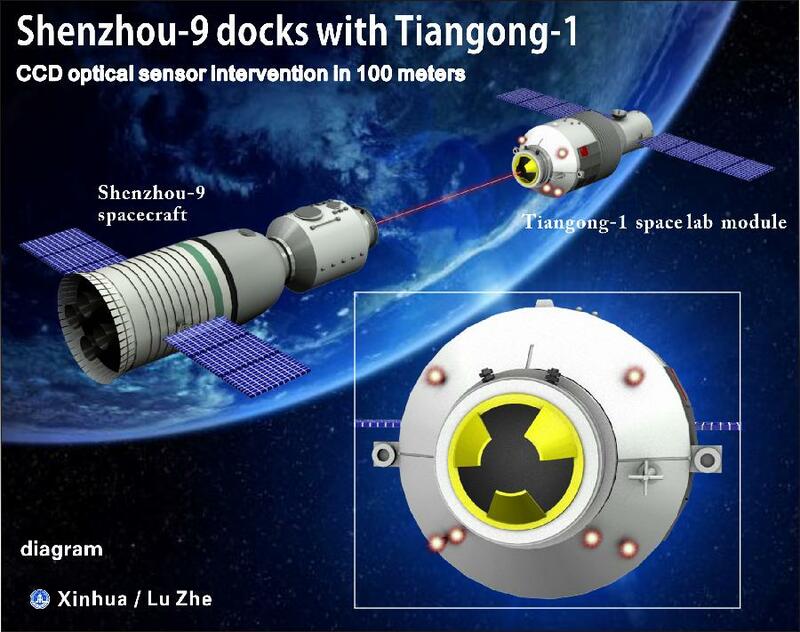 The crew will launch aboard Shenzhou-10 (Chinese for “Divine vessel”), which will dock with the orbiting lab module Tiangong-1 (Chinese for “Heavenly Palace”). According to Zhou, there will be a female taikonaut in the mission, together with two male colleagues. The aim of the mission is to assess the performance of the docking system, the space station’s capability to support life and work, and the taikonauts’ ability to fulfill their tasks according to schedule. Research will be conducted on taikonauts’ adaptation to the module environment and tests performed on repairing the orbiting spacecraft. These are all key steps for further developing the space station. The three taikonauts will also take the opportunity to popularize scientific endeavors and inspire enthusiasm for science, giving science lectures to students via video feed while they are working in the module. 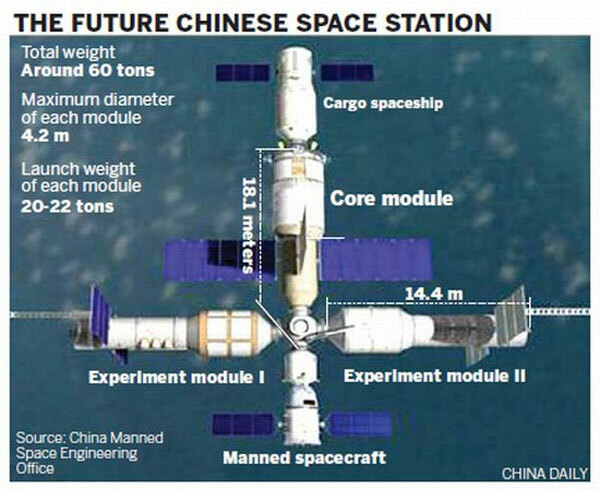 Read more: China Plans Next Manned Mission for Summer 2013 | Space Safety Magazine.